On the stump trail Friday for two HBCU grads running for governor’s office. 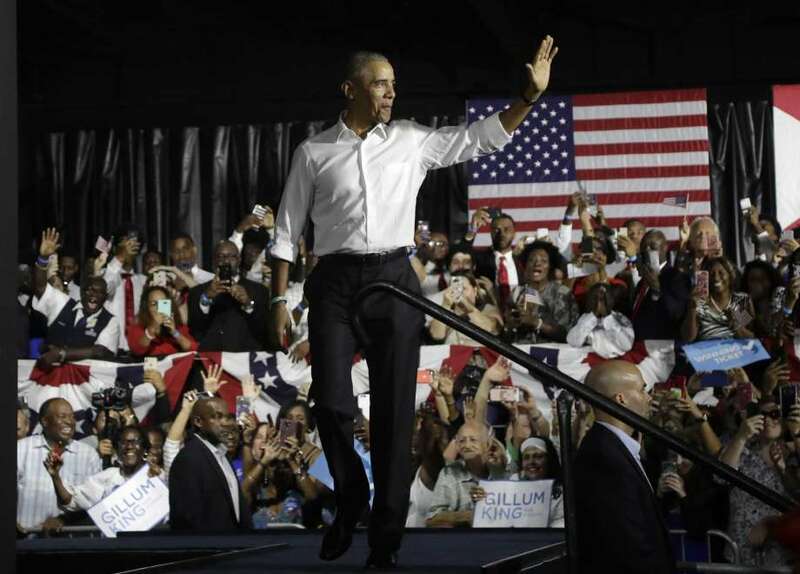 ATLANTA–Former President Barack Obama was in Atlanta on Friday night speaking on behalf of Stacey Abrams at Morehouse College. Abrams, a Spelman graduate, is the Democratic nominee for Governor in the state of Georgia. People lined the streets outside of Forbes Arena ahead of the rally. The former President was very critical of current President Donald Trump and his stance against immigrants. Obama, whose voice was strained from a hectic day of campaigning, lauded the upbringing of Abrams by her parents. Joking at one point that she couldn’t get away with much having two ministers as parents. Earlier in the day, President Obama was in Florida campaigning on behalf of Andrew Gillum, the Democratic nominee for Governor of the Panhandle state. Gillum is a graduate of Florida A&M University. Barack Obama used a familiar anecdote at both rallies, urging voters not to fall for the “okey-doke” a la Charlie Brown and Lucy. If elected, Abrams would become the first African American female governor in the history of the United States. Should both win, America would have two African American governors who are graduates of HBCUs.